Hotel Central Station i Milano, Italia: Bestill nå! 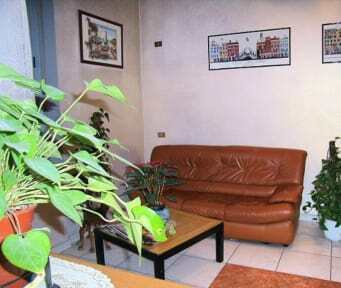 Located right next to the Milano Central Railway station, neighboured by the Airports shuttle bus terminal. a BEST position for late arrival or early departure, well connected with transportation system, easily bring you to explore all Milano attractions. Exit from the station gate which is facing to Piazza 4 Novembre, turn immidiately right to see the hotel sign hanging there about 50 meters away. Time applicable for arriving at hotel from the station is only 2 minutes walking, no jolking! 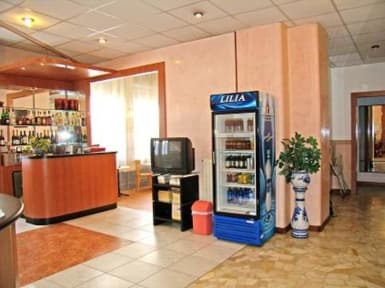 WiFi internet connection is available in lobby and some rooms, a small cost might applicable..
Room ensuite or with shared bathroom for your choice. Direct dial telefone and tv in every room, and possible use call free card. Supermarket , Loundry mat available around hotel. Recently renovated Hotel Central Station, categorized as a one star hotel, ideally located beside the train station, make it easy to be reached from Milans airports, and well connected with the Milan transportation system, accessible to city centre Piazza Duomo and all the important sightseeing points and museums, as well as Golden Quad Via Montenapoleone where you can see the best of the fashion industry, Milan Fiera city is also just a few minutes distance by subway.